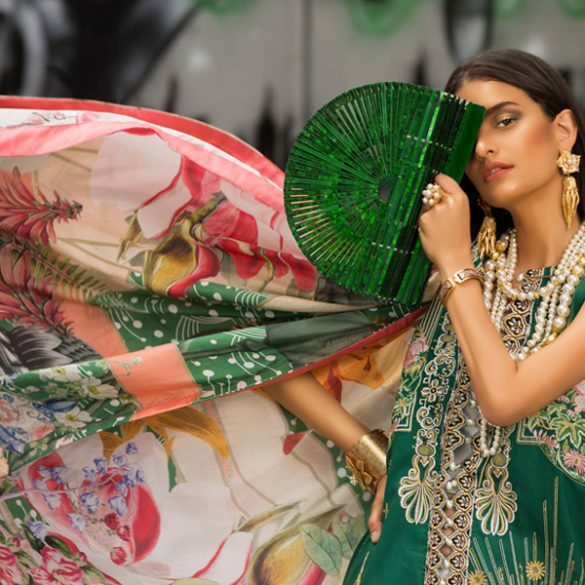 Sapphire Vol 2 Unstitched lawn is now in stores and online and we decided to make a list of our favorites from the 5 lines that make up the collection! Take a look at our top choices from Sapphire Pop, Daily, Statement, Serene, and Classic reflecting an array of moods for a host of occasions. 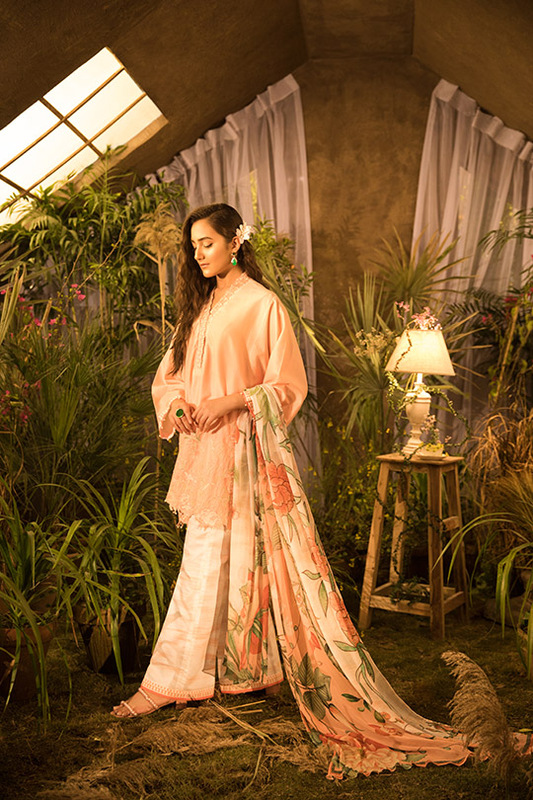 The generously embroidered daaman is beautifully set off against the ivory hue paired with a statement print dupatta. This chevron and floral overlay print make for a lovely summer casual look making it a go-to from the Sapphire 2-piece Daily series. We love the vibrant freshness of this design that bursts with color and modernity in a fun scribble pattern. With a hint of the orient, this 3 piece from the Daily line with its inspired gazebo print and sunny yellow dupatta has our hearts. We adored this particular design so much we added the alternate colorway in peach as well to our wishlist! Turning old school this handloom design with woven hints of gold thread is a beautiful rendition to age old techniques. The green and red is a traditional combination that we would definitely pair with a shalwar to style this outfit. An all-white ensemble is essential for the season so we chose this graceful embroidered 2 piece paired with a blush peach dupatta. We love the sheer versatility of this outfit that can be styled with any fun scarf or dupatta to change it up. Finally from the Serene series we are crushing hard on these delicately thread worked solids in rose and yellow. The shades are soft and summery and can be styled from day to evenings as the self-embroidery brings in a more luxe feel to these ensembles. There you have it! Take a look at the complete collection online or in stores to pick out your favorites before they’re all gone!